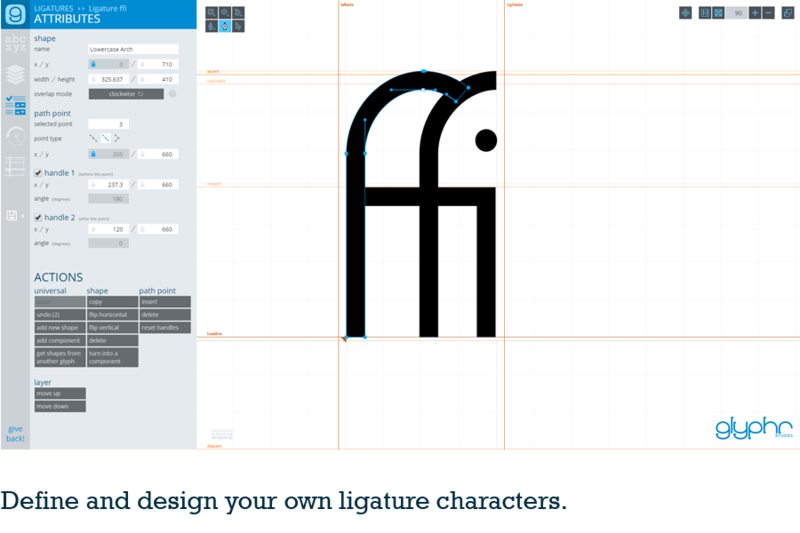 Glyphr Studio is a free, web based font designer. 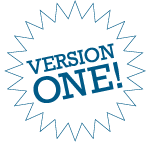 Version 1 is here! Font design has a high barrier of entry. Professional font design programs are very complex, and/or quite expensive. 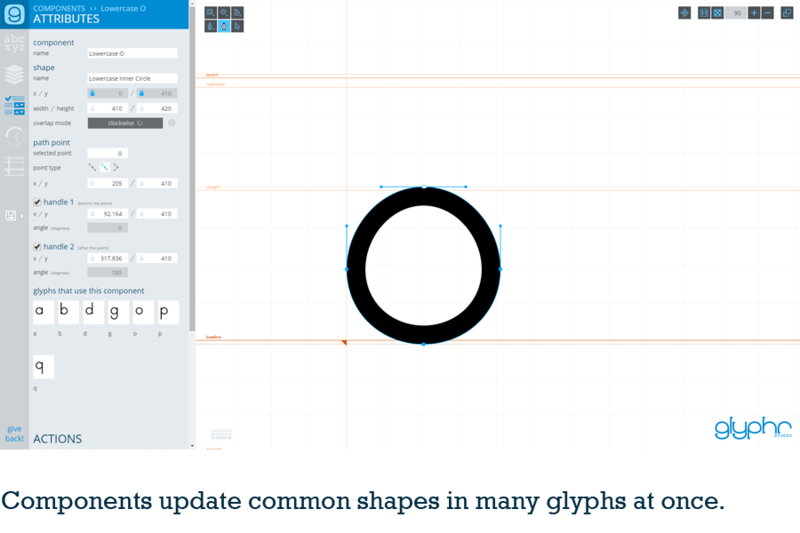 Glyphr Studio is streamlined and made for font design hobbyists... and it's free! 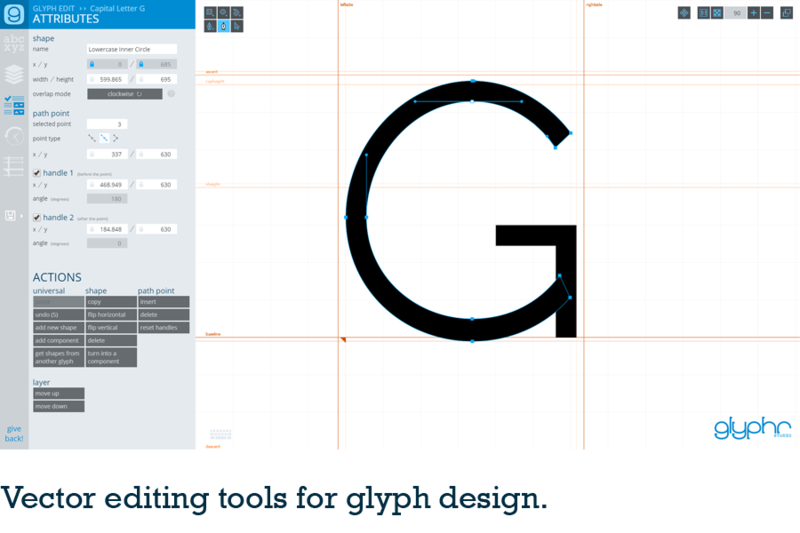 Glyphr Studio Online is the main font editing experience. It's always up to date with the latest build. First time using Glyphr Studio? Have some stuff designed in Illustrator or Inkscape? This is a must-read to get you started quickly! 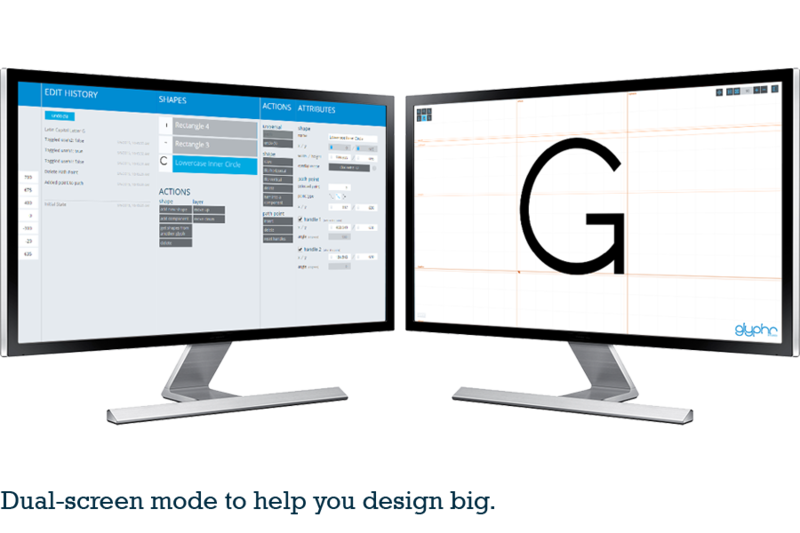 Glyphr Studio Desktop is the Glyphr Studio you know and love, in an installable desktop program. Editing Tools - Pen and Pointer tools for all your vector design needs. Cool stuff like lockable attributes, guidelines, keyboard shortcuts, undo history... and more! 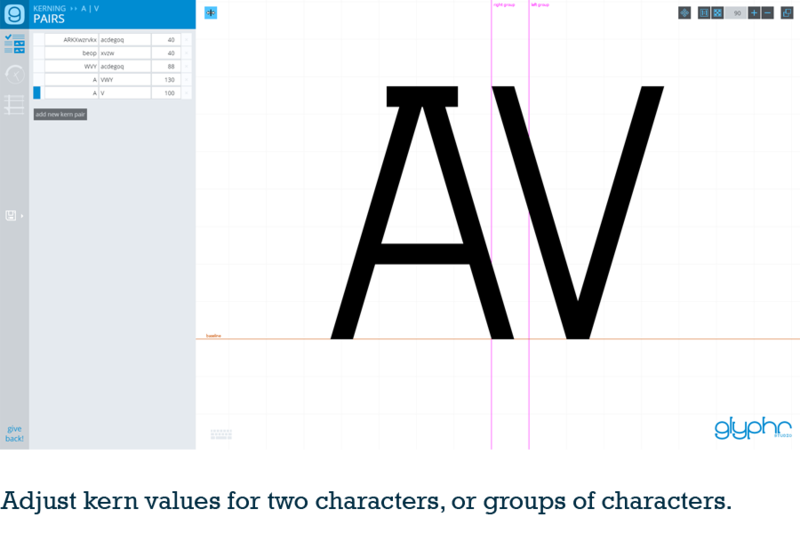 Components - Define a shape once, like an 'o', and re-use it across many glyphs, like 'bdgpq'. Make changes to the Root Component, and it updates all the glyphs linked to it. 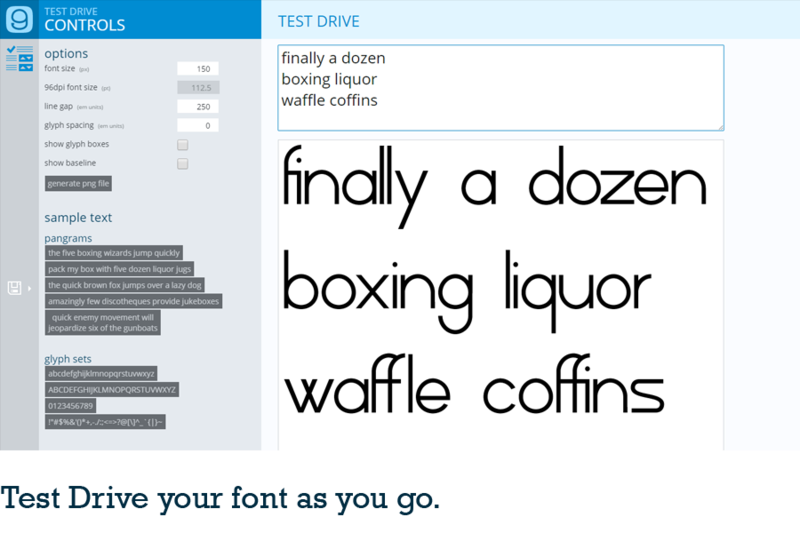 Test Drive - Try out your font as you type. Pack my box with five dozen liquor jugs! Ligatures - Combine a sequence of glyphs into one new supercharacter, like Æ or ¼. POW. Kerning - Standard character spacing feeling awkward like a gradeschool slowdance? Kerning gets glyphs together and feelin' good. 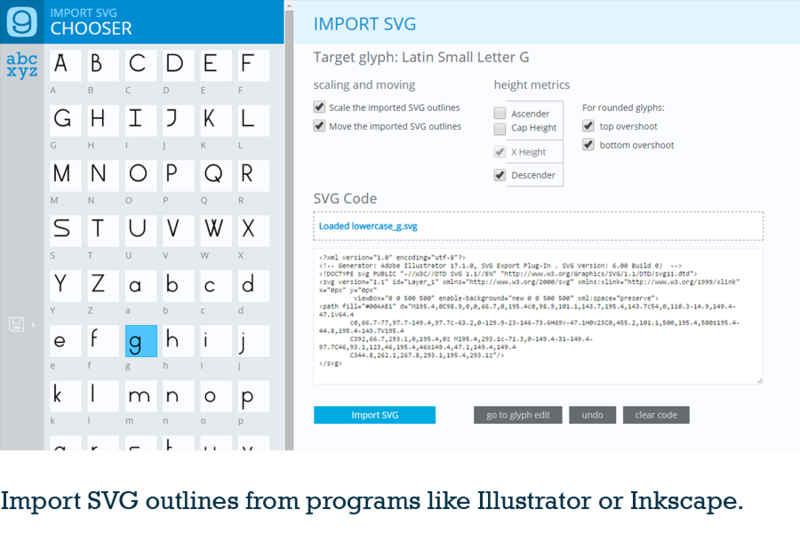 Import SVG Fonts or outlines - Use your favorite vector editing program to create vector outlines, then import them to glyphs via SVG. 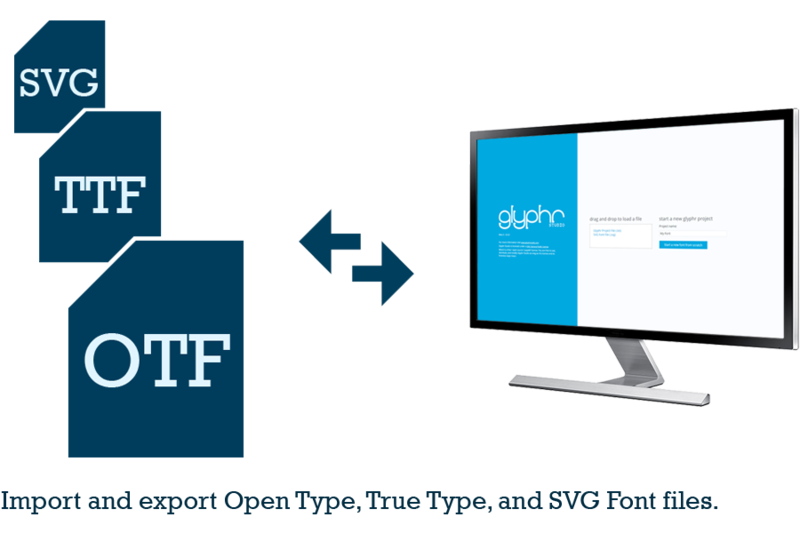 Or open a whole SVG Font at once. Unicode-a-palooza - Easily select some common Unicode character ranges to design, or input arbitrary ranges - up to U+FFFF. That's 65k glyphs of excitement. Two Screen Mode - spread out and use your big beautiful second monitor. Tools on one screen, editing on the other. Get more details on what's new over at the Glyphr Studio Blog. Glyphr Studio is free, and will always be free. But strong philosophical ideals don't put food on the table. A monetary contribution, even a small one, will go a long way to keep the Glyphr Studio effort going strong. Thank you!